Microsoft takes the lead of Google and Apple and exits show. Google and Apple stopped coming to the Consumer Electronics Show years ago. But now the annual technolgy conference that descends on Las Vegas is preparing for the loss of another one of its major names. When Steve Ballmer delivers his keynote Monday at 6:30 p.m. at the the 2012 Consumer Electronics Show, it will mark Microsoft's exit from the annual conference. CES draws more than 140,000 people every year to the Las Vegas Convention Center to get an up close look at everything new in televisions, computers, cars, mobile and more. But more and more big companies are not coming to CES anymore. Instead choosing to control their own launches, much like Apple has. Microsoft is being coy when explaining why it will no longer present at CES following this year. In a statement to CNN, a Microsoft spokesman said, "Are we doing something because it's the right thing to do, or because 'it's the way we've always done it?" 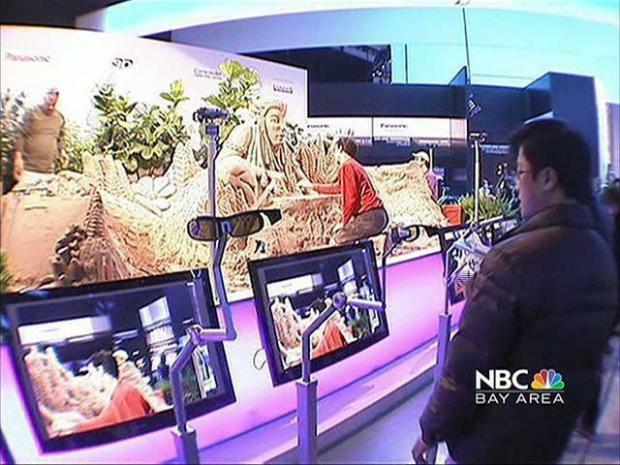 Bay Area blogger Robert Scoble talks about CES. Some major companies feel burnt out and feel its become a chore to present at ces. And with the likes of Apple showing that you don't need to make an appearance at CES to generate a lot of buzz, why show up at all if you are a big company? Several smaller companies will be presenting their add-ons for Apple products and some veteran CES reporters are saying that Apple will win the CES media war without even showing up. Google will have a similar impact. Several new products, including tablets and cell phones, will be introduced during CES that will feature the Google-powered Android operating system. And some of the larger companies will be creating products, like tablets, that will inevitably be compared to the iPad 2, which will certainly lead to discussion of when Apple will actually introduce the iPad 3. On its own terms and not at CES -- just in case you were wondering.